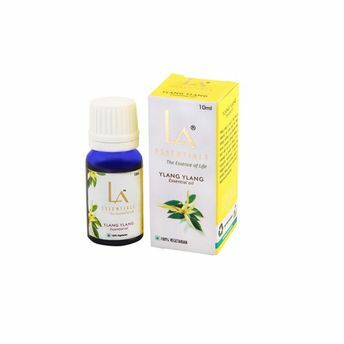 Ylang Ylang Oil has high therapeutic value, the derived extract finds application in baths as well as in massage based applications. It fights depression and relaxes the body, thereby driving away anxiety, sadness, and chronic stress. Has a euphoric & sedative effect on nervous system and helps in areas like tension, anxiety, shock, panic and fear. Its aphrodisiac qualities also make it useful for treating cases of impotence and frigidity. Further, it is also particularly useful with calming rapid breathing & rapid heartbeat by reducing high blood pressure.